ATLANTA (March 20, 2015) - It's great to see Thad Ellis, a friend and Delaware native, leading Cousins Properties' new development effort in Charlotte. It comes as The Wilbert Group ramps up its efforts in the Queen City, led by our work with Crescent Communities. The Wilbert Group would be conflicted out of working with Thad and Cousins in Charlotte because of our growing relationship with Crescent. That said, we wish our buddy great success - just not when competing head-to-head with Crescent for raw land or prize tenants. Here's the scoop from Will Boye of Charlotte Business Journal. "We didn’t want to just stick our toe in the water," Ellis says of the company's acquisition of the Fifth Third Center uptown. Cousins Properties Inc. has no regrets about the price it paid to acquire the Fifth Third Center building in uptown Charlotte last year, but now the Atlanta-based real estate investment trust is shifting away from acquisitions and focusing on development opportunities in Charlotte. That’s what Thad Ellis, a senior vice president with Cousins, told me in an interview this week. Ellis oversees the Atlanta, Dallas, Charlotte and Raleigh markets for Cousins, which acquired the 30-story Fifth Third Center last year for $215 million, a record price on a square-foot basis for a Charlotte office property. 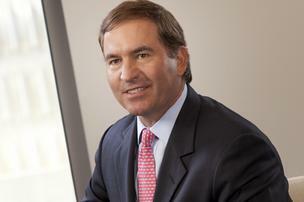 Cousins owns 17 properties totaling 16.2 million square feet in Charlotte, Atlanta, Dallas, Houston and Austin, Texas. That includes the nearly 1.1 million-square-foot Gateway Village complex in uptown Charlotte, which Cousins developed and co-owns with Bank of America Corp.
During Cousins’ fourth-quarter conference call last month, CEO Larry Gellerstedt said the company won’t be a big buyer in 2015 due to the rising prices for office properties. Ellis echoed that sentiment this week but said the company is actively looking for development opportunities in Charlotte and is happy with its purchase of the Fifth Third Center, where a new tenant recently signed and an existing tenant expanded. Fifth Third Center is approximately 84% leased. Cousins purchased Fifth Third Center last year for a big number. How do you feel about that purchase today? We’re very pleased. We’re very bullish on Charlotte as a corporation. We’ve been trying for several years to get back in the market in a meaningful way. There’s no question Charlotte’s got some terrific dynamics. It’s an inexpensive place to do business. It’s one of the leaders in the Southeast. The airport is only going to be more of a draw. The fact that you all have a plan for light rail and transit and you’re executing on it puts you way ahead of other Southeastern markets. I know everybody loves to get hung up on millennials, but you walk through downtown Charlotte, and it’s very vibrant and youthful. And people want to live in Charlotte because of the cost of living and the quality of life. All of that is a real plus for us. Did we pay a high number to acquire Fifth Third? History will dictate, but we felt like it was a very sound investment because of who the customers are, the quality of the real estate, where it’s located. And we really wanted to get back into the market in a meaningful way. We didn’t want to just stick our toe in the water. How do the sales and prices for office properties here compare with what you’re seeing in other markets? Charlotte is on everybody’s radar, so there are no secrets, and there’s no one stealing anything on acquisitions. I’m not going to be so bold to say that we won’t acquire additional trophy assets in the next 12 to 24 months, but I think you’ll see us have a lot more success and focus on new development. Not necessarily speculative development, but hopefully with anchor tenants and build-to-suits. We just think for the adjusted risk-reward, right now we’re in a cycle where new development is more attractive to us than acquisitions. Higher projected yields. Do you see any opportunities in Charlotte for development? We do. We’re focused on the Charlotte urban area. We would include SouthPark in that. Everything from the central business district to South End on into SouthPark. It’s vibrant, job growth is healthy, the multifamily industry seems to be leasing up well. All things that are good indicators. It’s real favorable right now. How’s the leasing activity at Fifth Third? If there has been a surprise for us in Charlotte, it’s that the velocity of deals in the central business district has been OK. I wouldn’t give it strong marks. And the deals have been smaller than we would have anticipated. There’s not a lot of full-floor users and larger in the market today. Most of that activity seems to be more in SouthPark and elsewhere. But we’re very happy with the creditworthiness of the tenants. And with the deals that we plan to announce, it also allows us to break up some of those floors and we can do smaller deals and be that much more competitive. We’re very pleased with where we are at Fifth Third. CHARLOTTE (Nov. 18, 2014) - I wouldn't be surprised if Atlanta Mayor Kasim Reed places a congratulatory call to Bill Cronin today, though the mayor wouldn't be wishing him good luck in much success in Cronin's new venture. During his tenure in Atlanta, The Wilbert Group served as Invest Atlanta's public relations agency of record. I saw firsthand and got a behind-the-scenes look as Cronin helped woo major companies to the city of Atlanta - both from outside the metro area (PulteGroup) and inside (athenahealth). He used knowledge gained during economic development stints in South Carolina and Florida to best position Atlanta when the city competed with those states for new jobs. We suspect the savvy Cronin will do the same and leverage what he knows about Atlanta and how the city and state incentive plans work to help Charlotte. Cronin discusses this overall strategy at this in an article in the Charlotte Observer. “Having been a competitor to Charlotte in my previous roles, I understand the city’s strengths and challenges. As for the Atlanta mayor, he's made it perfectly and publicy clear on several occasions that Charlotte is a second-tier city striving to be an Atlanta when it grows up. It will be interesting to watch things play out when Charlotte and Atlanta compete for the same headquarters relocation or new job-creating tech endeavor.